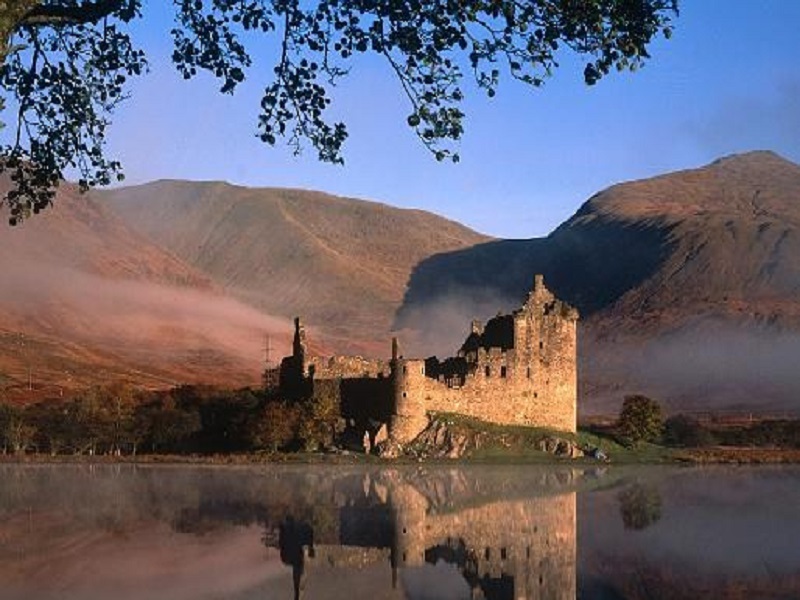 Great views over Loch Awe. 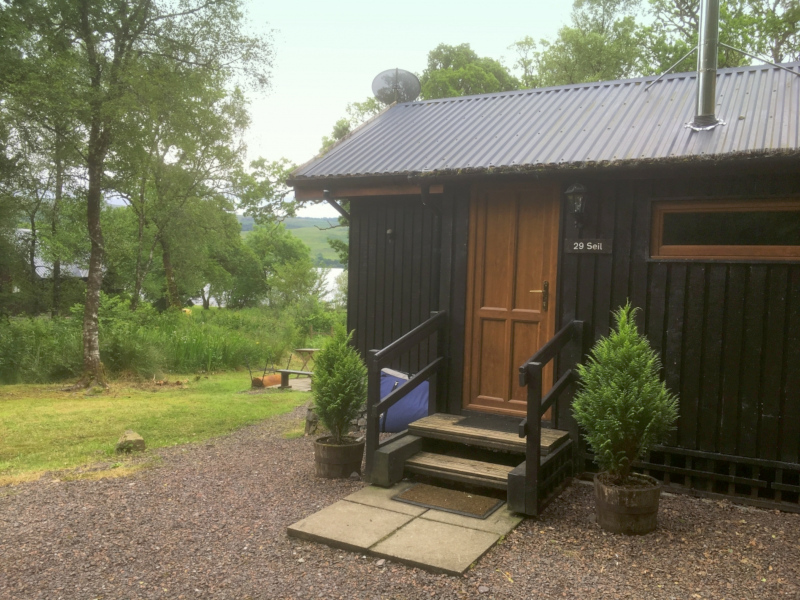 This charming log cabin provides comfortable self-catering accommodation for up to five guests in a lovely location, with views over beautiful Loch Awe. 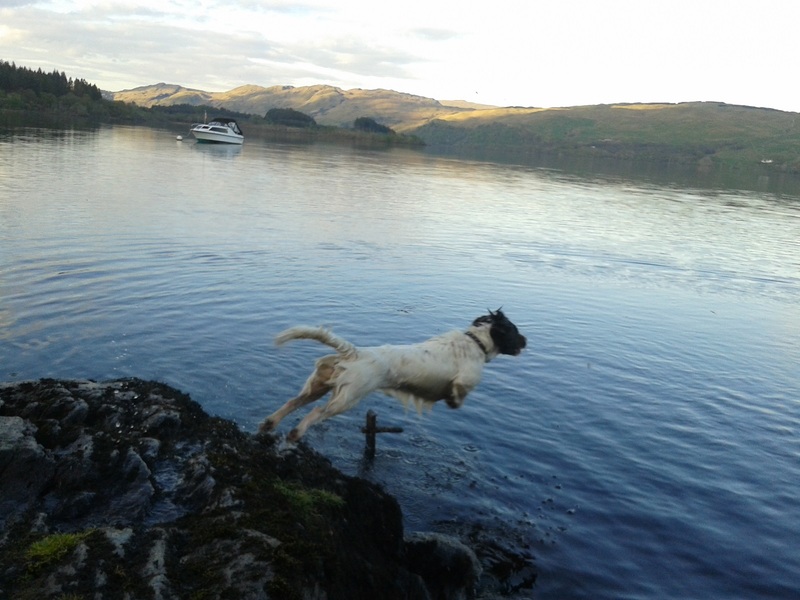 It is situated on a large plot less than 100 yards from the loch, with a hot tub and raised veranda. The accommodation consists of open plan Living area, dining area and kitchen, double bedroom, triple-bunk room, family shower room and entrance hall. 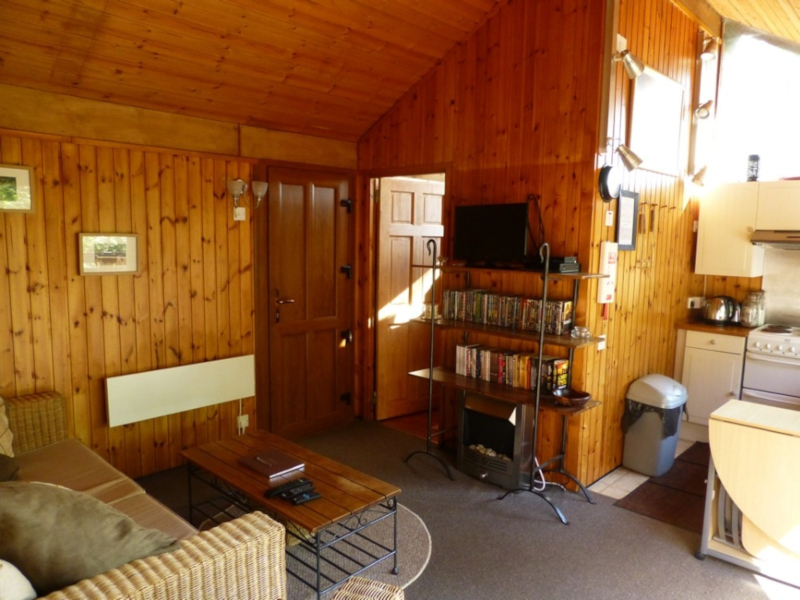 The living / dining area has a wood burning stove, vaulted ceiling, Freesat Satellite TV, DVD, Hi-Fi (via TV and DVD), sofa and easy chair and a fold away dining table. 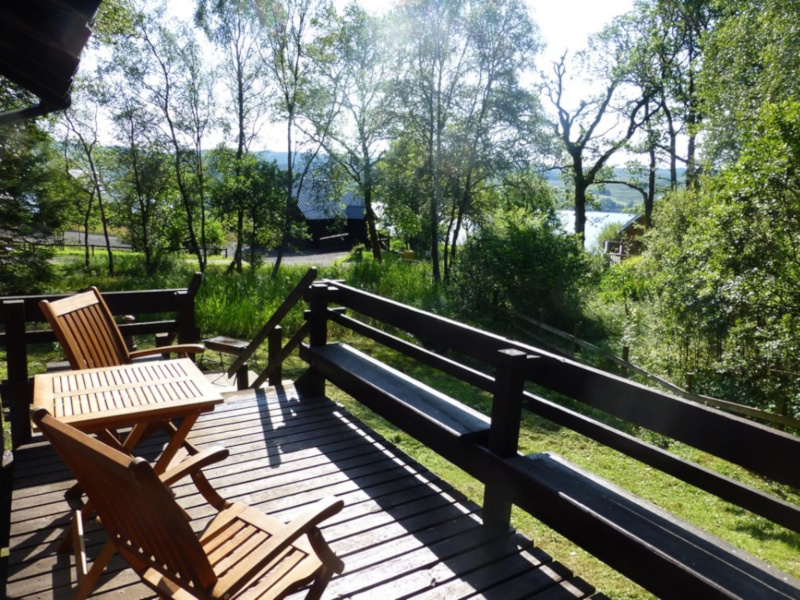 Patio doors open onto a raised veranda with electric hot tub, overlooking the loch. The kitchen is well equipped, with cooker, fridge, microwave, toaster, kettle and all necessary utensils, crockery, cutlery etc. Shower room is tastefully finished and has electric shower, wash basin, toilet and heater. Bedroom 1 has a double bed, clothes storage and bed side table. Bedroom 2 has three bunk beds, clothes storage and bed side cabinet. The entrance hall is an ideal area for coats and boots and has a chest freezer. Outside there is parking for 2 cars, an elevated veranda with garden furniture and sunken hot tub, a BBQ / fire pit and ample grounds. 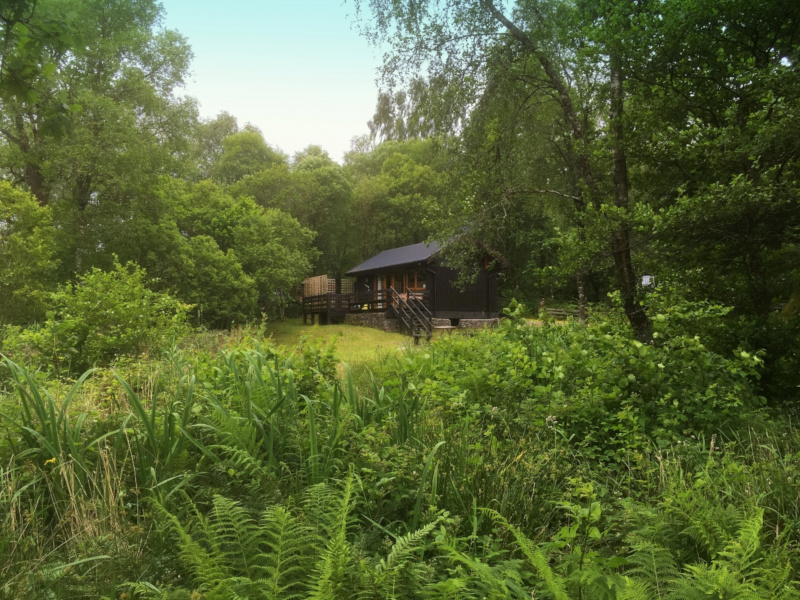 As well as beautiful scenery the grounds and surrounding woodland provide an outstanding habitat for a wide variety of wildlife species. Red Squirrel and Pine Marten are relatively common and many bird species inhabit the area. 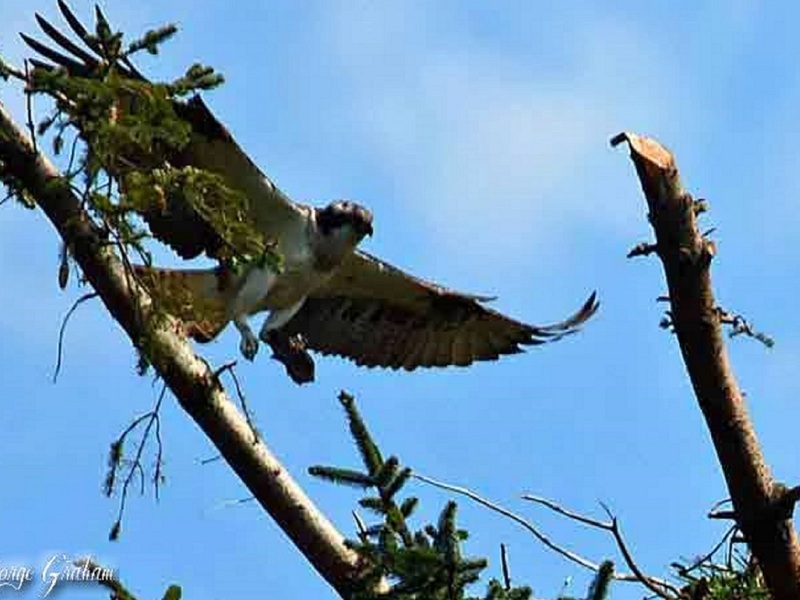 A great location for wildlife watchers and nature lovers. 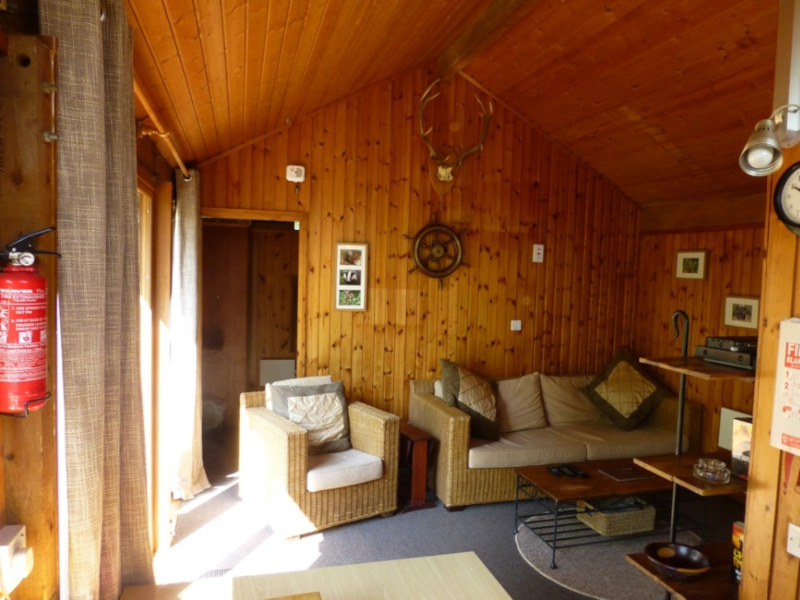 The cabin is timber lined throughout, double glazed, well heated and suitable for year round use. 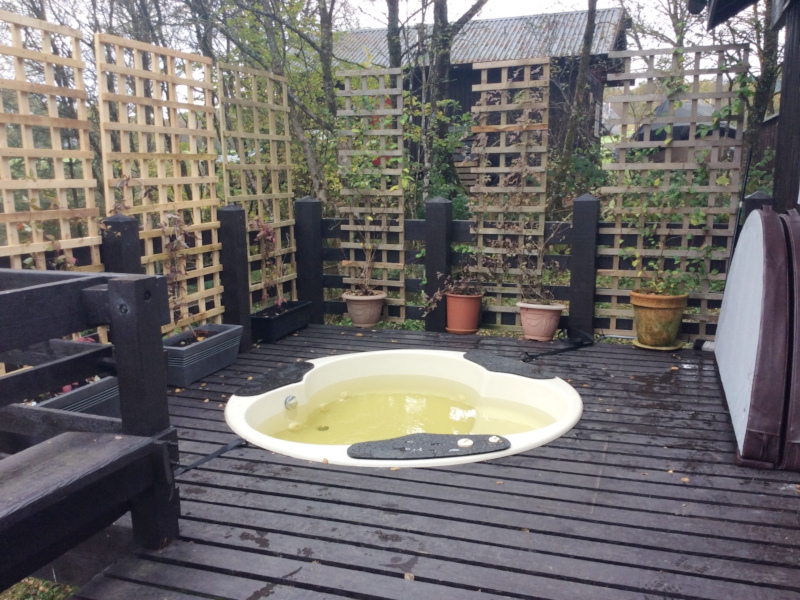 Please note: there is an extra £60 charge for use of hot tub. £100 required to secure booking, with balance due 30 days prior to arrival.